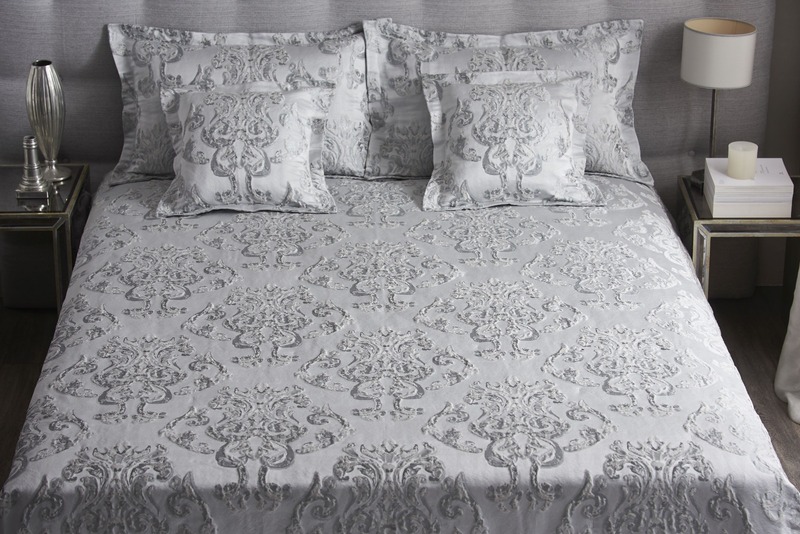 Quilt in damask jackuard fabric in linen and other fibers with embossed damask pattern. Dot quilting. Round corners.